The Atlas Roofing Company makes a variety of asphalt shingles. 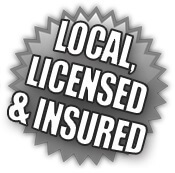 They are just like most of the other roofing manufacturers like GAR, CertainTeed, IKO and Owens Corning. They are make typical builder grade 3-tab shingles, a more durable architectural shingles, and designer shingles. Well, in the early to mid-90s, Atlas manufactured a shingle called the Atlas Chalet. These shingles became wildly popular, especially in the Southeast. Matter of fact... Georgia had more Atlas Chalet shingles installed than any other State in the USA. This shingle was actual a 3-tab shingle but had the appearance of a more expensive architectural style shingle. They accomplished by building up certain parts of the shingle tabs with heavier and thicker granules. This feature was called the applique. Well, over time this applique begins blistering and cracking, causing it to lose an unusual number of granules. If you have these shingles, you definitely noticed this at the bottom of your downspouts, as that's where the water takes these loose granules. Well, fast forward to 2010. 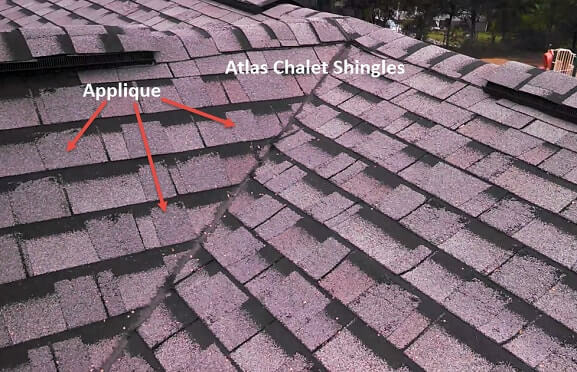 The shingles had received 1000's of complaints because of this manufacturer defect. So, Atlas discontinued them in 2010. Since then it's been a nightmare for insurance companies, the Atlas Roofing company, but most importantly and most unfortunately for homeowners that found out the hard way they had these shingles on their home. The worst part is, they probably had a home inspection when they bought the home, and nothing was reported as being wrong with the roof. That's because nobody knew at that time there was an issue. Well, over the next several years, all home inspectors became aware of the discontinued shingle, and began reporting them on their home inspections. Homeowners were finding they could not sale their home with these shingles. The new buyers weren't able to get insurance because of the Chalets. What a nightmare for literally 100's thousands of homeowners. So, what's the answer if you have these shingles? Well, if you don't plan on selling your home in the next several years, I wouldn't be that concerned. While the shingles may look to have problems because of the blistering and cracking, it's really only the applique that's having the issues and losing granules. And because they were built up and had extra granules to beginning with... it really isn't something that has compromised the integrity of the actual structure of the shingles. They will last just as long as any other shingle with the same year warranty rating. However, if you plan on selling your home anytime soon, and you have the Atlas Chalet... we recommend you begin working on the issue immediately. We'd hate to see this issue cost you a home sale. We've seen it happen more times than we can count on both hands. There are 4 options for getting the Atlas Chalet replaced, and we have assisted homeowners with all 4. So, rest assured you are in qualified hands if you call ResCom roofing for help. 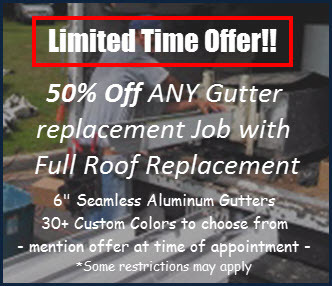 Pay "out of pocket" and get a new roof replacement. Depending on the size and pitch of your roof, this could run you anywhere from $5000 - $25,000 or more. It really just depends on number of squares to be replaced. This isn't the best option, but if you have the money, it's by far the easiest. Have a qualified, Atlas Chalet expert such as our ResCom pros come and do a detailed roof inspection. We will be looking for storm damage of any kind. Because, depending on your insurance company, if your roof has even one damaged shingle, you could receive a complete roof replacement from insurance. All you would have to pay then is your deductible. Much better than option 1, right? Join one of the Class Action lawsuits that are going and try to recoup some of the replacement cost that way. We don't recommend this option, because quite honestly... the only people I ever see come out looking good in this scenario is the law firm that's running the case. It would be a couple years before you'd see a penny, and then it would probably be in the 10% - 15% range of the total replacement cost of the roof. Go straight to the Atlas Roofing company and file a faulty material claim. We've assisted several homeowners in this option. But honestly, Atlas requires the homeowner to supply so much documentation and jump through so many hoops, it's almost impossible to adhere to their request. 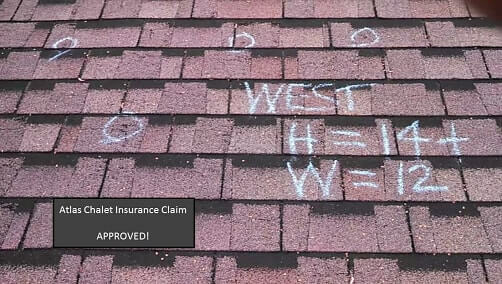 However, we have been able to help more than one homeowner get some compensation to help with their roof replacement. I say some... because in most cases it was between 28% - 45% of the total replacement cost. One customer actually received 68%, but that was because their shingles were only 4 years of age. But any compensation is better than nothing at all. So, if you aren't able to get insurance to help, like if you have... All State, then ResCom Roofing can help you give this a shot. When it boils down to it, this is just one of those things in life that just isn't fair! The homeowners are being put in a position, through no fault of their own that is costing them money, and in some cases sabotaging them when trying to sale their home.